Joseph V. Montville is the originator of “Track Two,” nonofficial diplomacy. He is Director of the Program on ‘Healing Historical Memory,’ School for Conflict Analysis and Resolution, at George Mason University. He is also a Senior Associate and Chair of the Goldziher Prize Committee in the Center for the Study of Jewish, Christian, and Muslim Relations at Merrimack College. 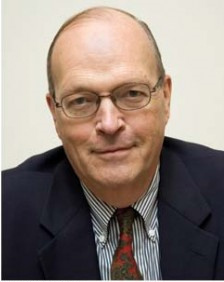 Montville founded the Preventive Diplomacy Program at Washington, D.C.’s Center for Strategic and International Studies in 1994 and directed it until 2003. Before that he spent 23 years as a diplomat with posts in the Middle East and North Africa. He also worked in the State Department’s Bureaus of Near Eastern and South Asian Affairs and Intelligence and Research, where he was chief of the Near East Division and director of the Office of Global Issues. Montville serves as Director of the Abrahamic Family Reunion, the Esalen Institute project to promote Muslim-Christian-Jewish reconciliation. He is also chairman of the board of Track Two: An Institute for Citizen Diplomacy, a nonprofit organization associated with Esalen Institute. He has held faculty appointments at Harvard University as well as the University of Virginia Medical Schools.